With an unparalleled potential for expressivity as well as for virtuoso display, the violin is one of the Western instruments that have been most warmly embraced by non-Western musical cultures. 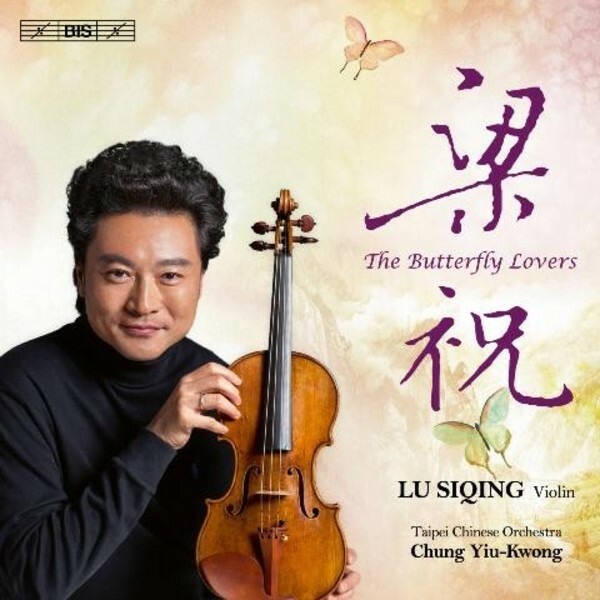 One example of this is The Butterfly Lovers Violin Concerto, one of the best-loved classical compositions in China, and probably the Chinese work that is most often performed in Western concert halls. In China, the solo part is often transcribed for one of the traditional virtuoso instruments, such as the erhu, but on the present recording it is instead the orchestral part that has been arranged for Chinese traditional orchestra, the eminent violinist Lu Siqing performing the concerto with the support of the Taipei Chinese Orchestra conducted by Chung Yiu-Kwong. The 25-minute concerto forms the grand finale of a programme which mixes Western and Chinese violin favourites, beginning most appropriately with Fritz Kreisler's Tambourin Chinois, but also taking in Sarasate's Zigeunerweisen and Tchaikovsky's M�lodie, all in arrangements made especially for this recording. The disc forms the sixth instalment in a series which features Western solo instruments against the thrilling soundscapes of the Chinese traditional orchestra. Reviewing previous discs, critics have been bowled over by an orchestra capable of 'evoking delicate playfulness, high drama, or the tranquillity of a misty Chinese valley with equal atmosphere' (Classic FM Magazine) and creating 'sounds that are mysterious, biting, intoxicating, and darned close to delirious' (Fanfare).